The living room progress continues…slowly but surely! 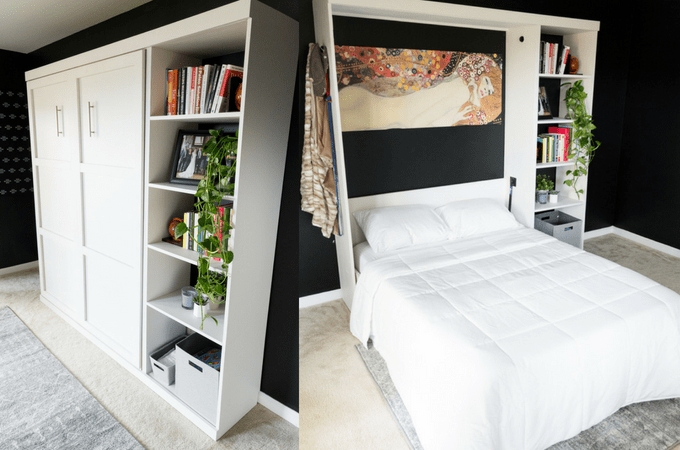 I shared my plans for this project a few months ago in this post about shower curtains that could be art. 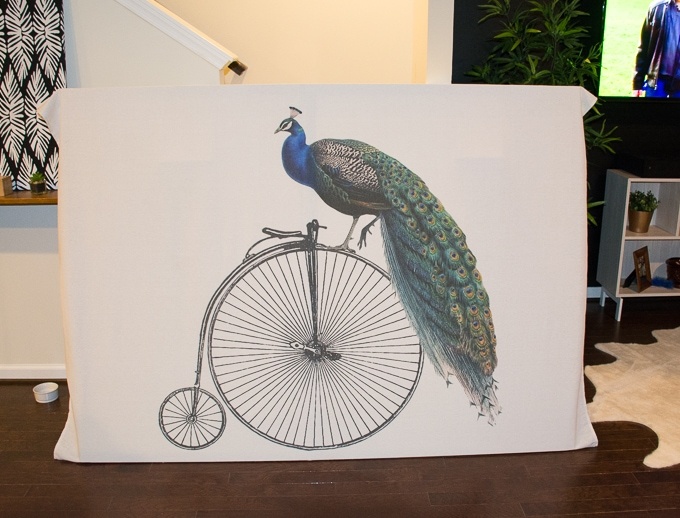 I found this peacock high wheel bicycle curtain from an Etsy shop called My Silli Poni and knew I needed it almost immediately! After chatting with the shop owner, I realized she was able to print it in a tapestry for me, which I thought might be easier for this project. And here’s how I made the art! 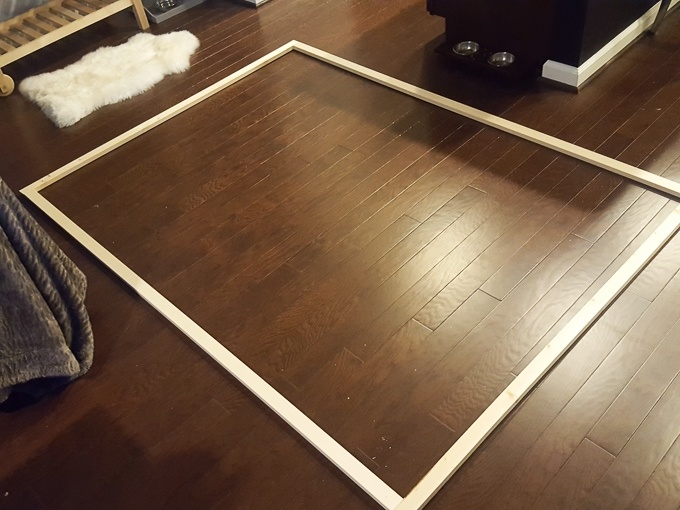 I used a drill to assemble the frame so that it looked like a giant box. 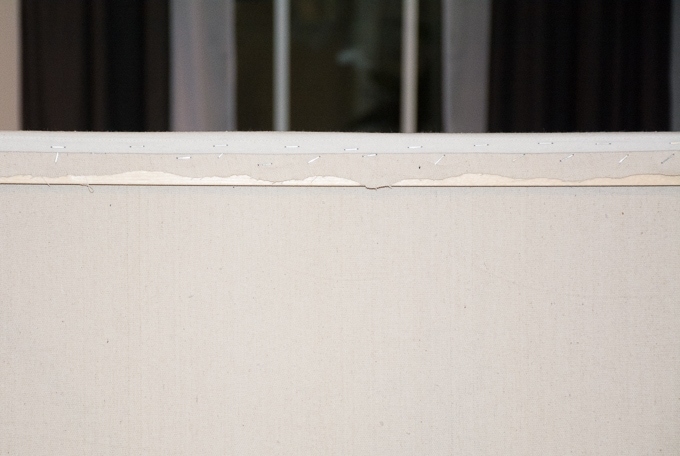 I just drilled directly through the sides or top of each corner since the fabric would be covering the entire frame. 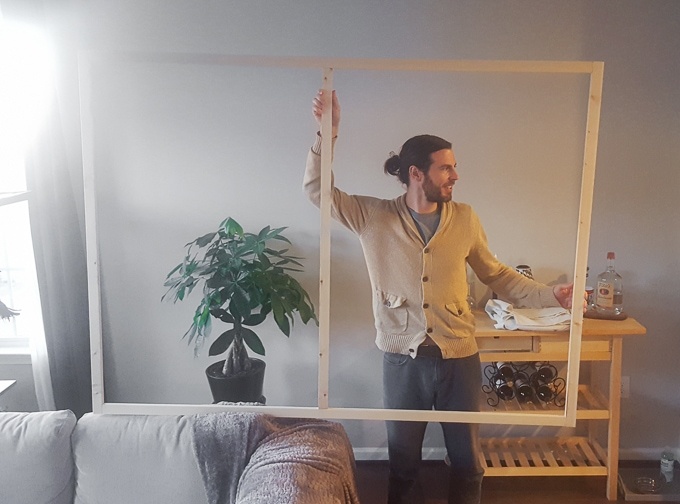 Once you have your big rectangle frame, attach the center support piece in place by drilling screws directly down through the top and bottom of the frame. 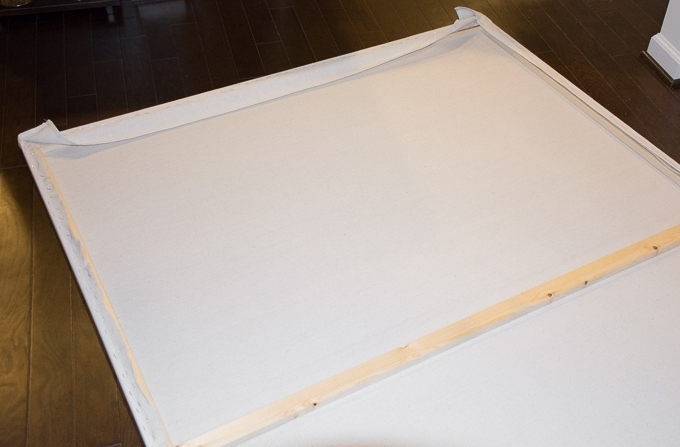 Step 2: Attach the canvas drop cloth liner. 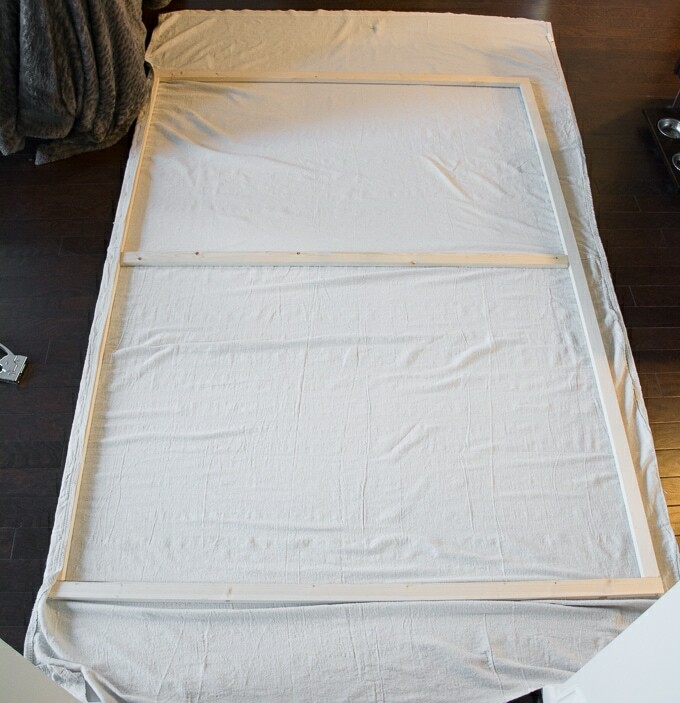 This step helps camoflauge the frame and was necessary for me to do because my tapestry fabric was so thin. 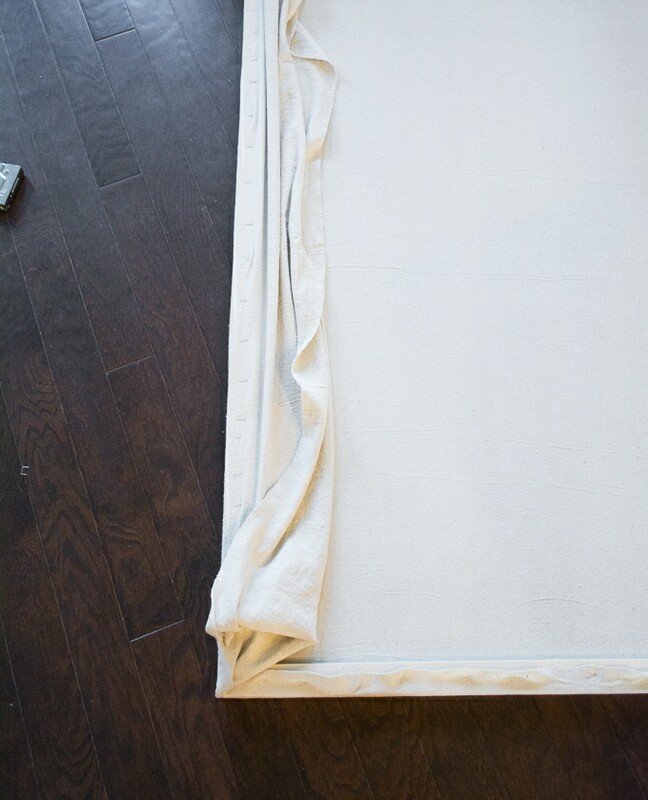 A drop cloth is the perfect solution for a liner since they are usually pretty massive. 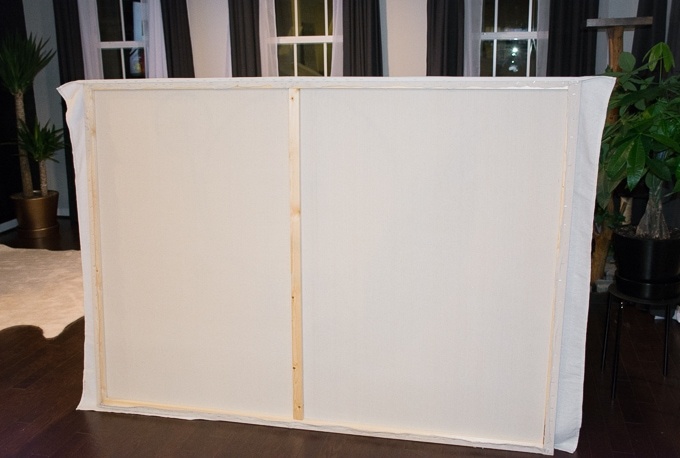 To attach the liner, cut it roughly to size and begin stapling it in place along the top of the frame. Then, pull it tight and staple in place along the bottom of the frame. 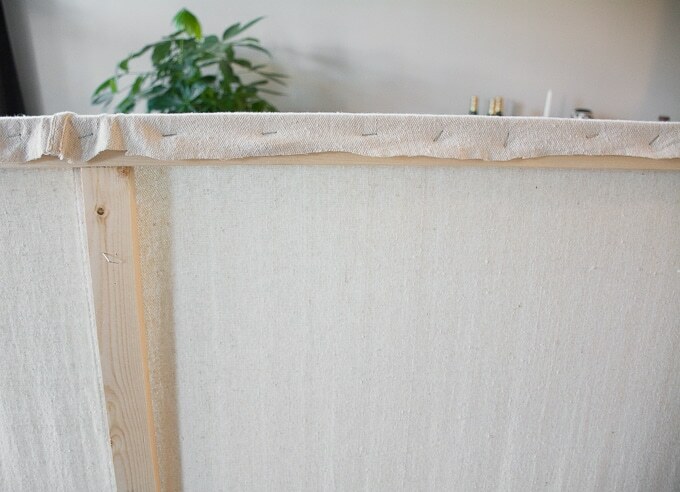 Once it’s in place along the top and bottom, pull it tight along the sides of the frame and staple in place. The goal is to eliminate all folds, wrinkles, and loose spots. Trim the excess fabric when you’re done stapling. Step 3: Attach the tapestry. Since this is an iron-able fabric, I ironed out all wrinkles first. Then I laid it out over the frame to ensure I’d have the right placement, flipped the entire frame up, and started stapling the tapestry on along the top of the frame. Just like I did with the liner. Easy! Top and bottom stapled, now it’s time for the sides. 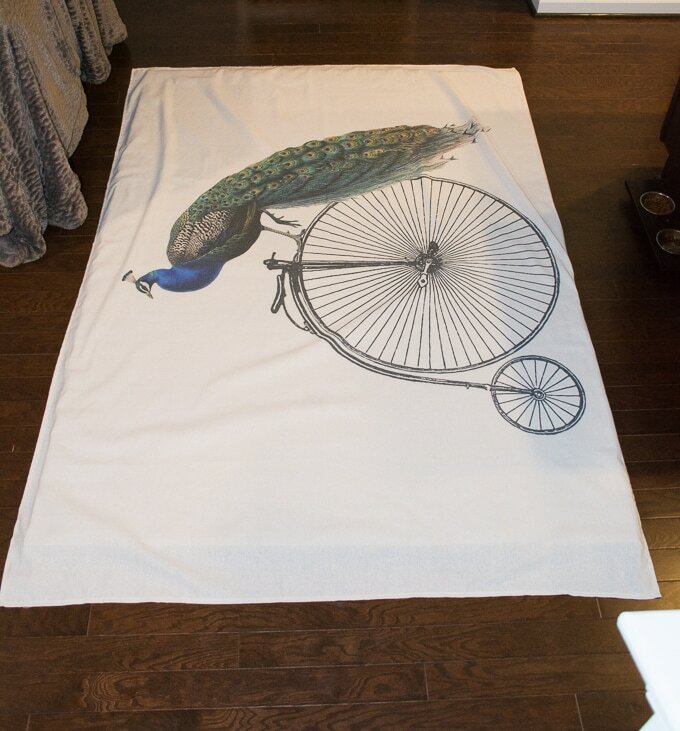 See how the drop cloth liner helps to get a nice, clean surface for the tapestry? And here is the finished piece. AHHHH!! We drove two screws into studs and just hung the top of the frame on the screws. This is an incredibly lightweight piece, so even though it’s massive, it doesn’t need much support. What do you think? 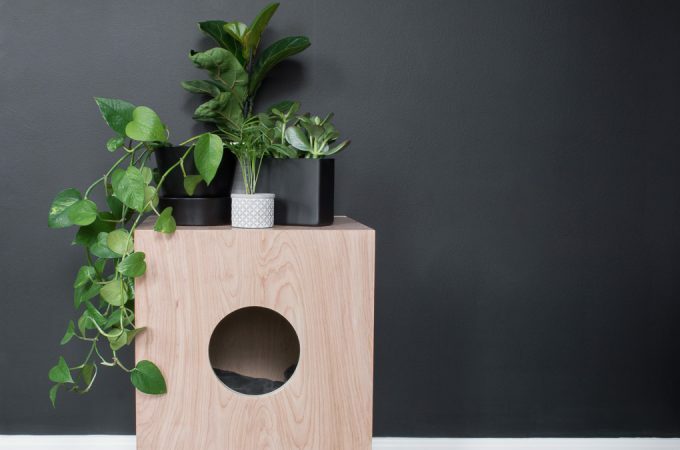 I absolutely LOVE it and think it’s the perfect solution for the space. Plus, I did it all for under $100! 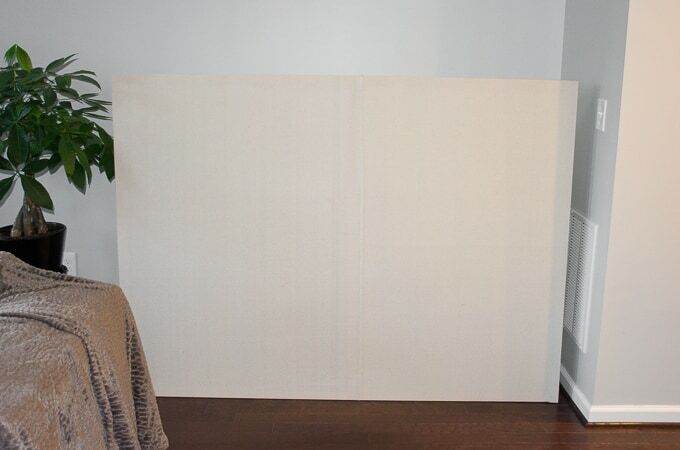 Can you imagine how much a piece of a similar size (6+ feet by 4.5 feet) would cost in a store? On any given day, I am linking up at these great DIY and home decor link parties! Make sure to check them out for tons of great ideas. Previous Post: « DIY Felt Cat Toys & My Petcube Camera Review! 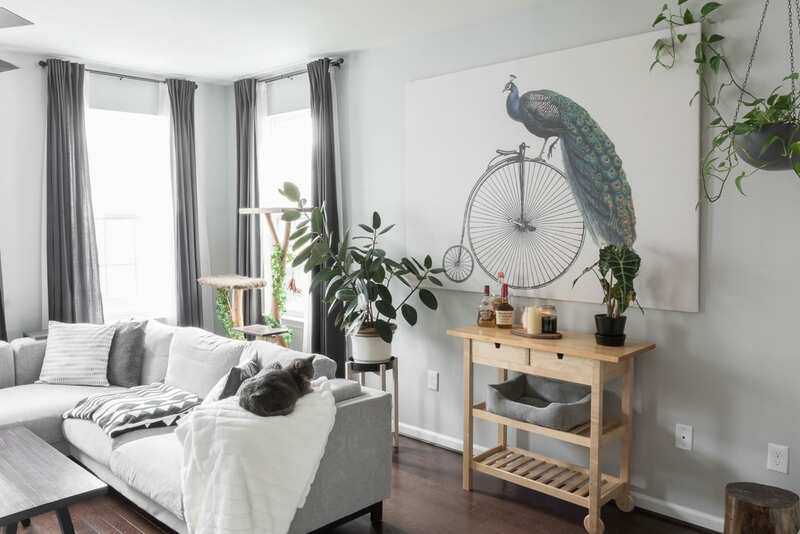 This is brilliant and it looks amazing in your living room! Thank you! Making slow but sure progress getting everything together in the living room! This is one of my favorite things you have done!! Thank you <3 <3 I'll make one for you some day! Awww thank you, love ya! Love it! So creative! And I love your cat yawning or meowing in one of the photos! Yawning…my photoshoots bore him 😉 and thank you! 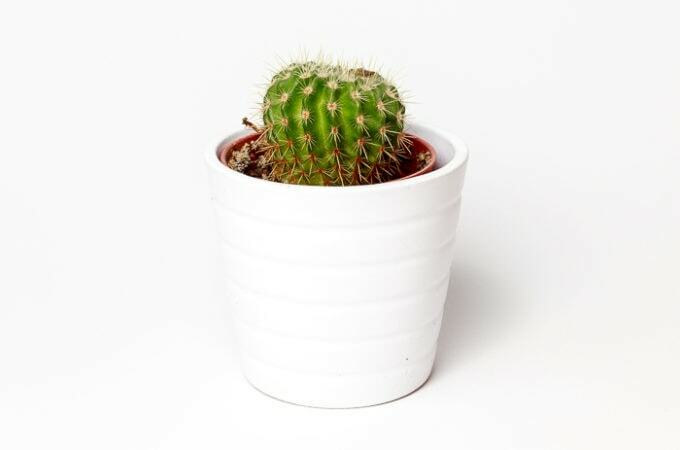 What a beautiful image you chose! 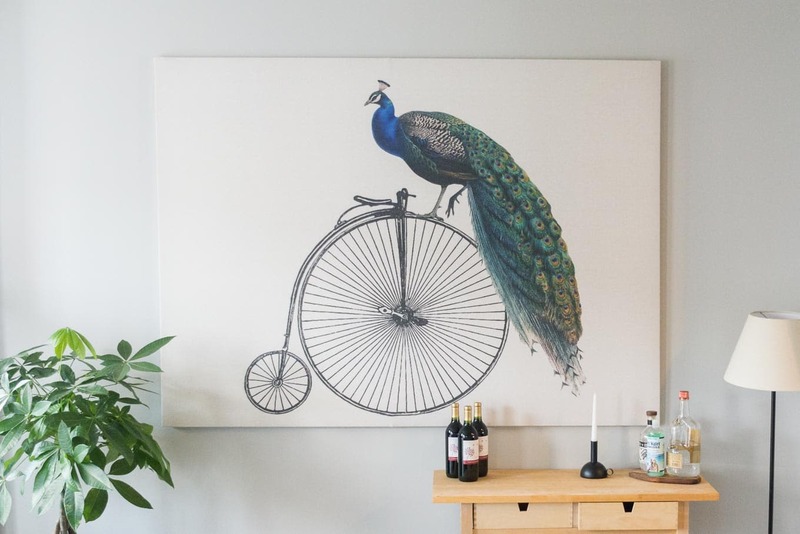 So unique and such a wonderful way to fill space on a large wall. Lovin’ it! I love this so much, Brittany. So funny, but I just posted a very similar tutorial….promise I am not a copy cat. haha Fabulous as always! I just checked yours out…it’s BEAUTIFUL!!! 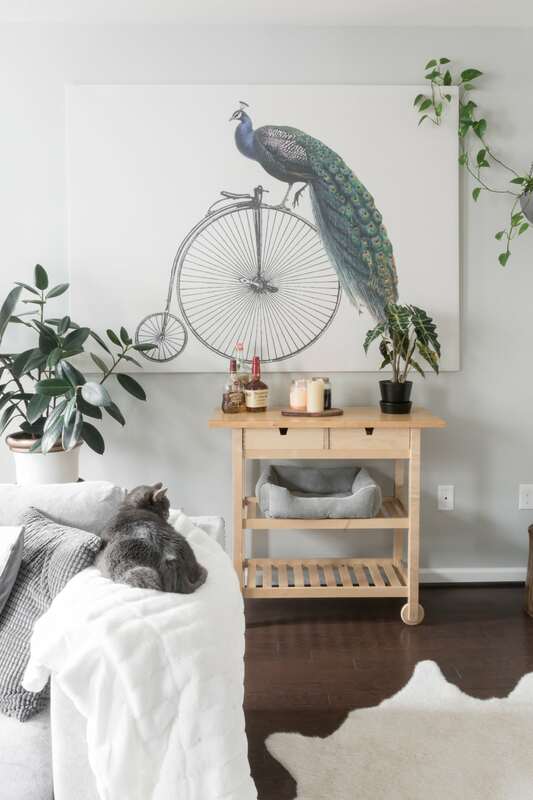 Great print–I looked at the original on Amazon and it looks so much better in your images on the frame! What a fun piece of art! It grabs your attention! Thanks for sharing it with us at the Funtastic Friday linky party! I love everything about this, I am looking at shower curtains right now! 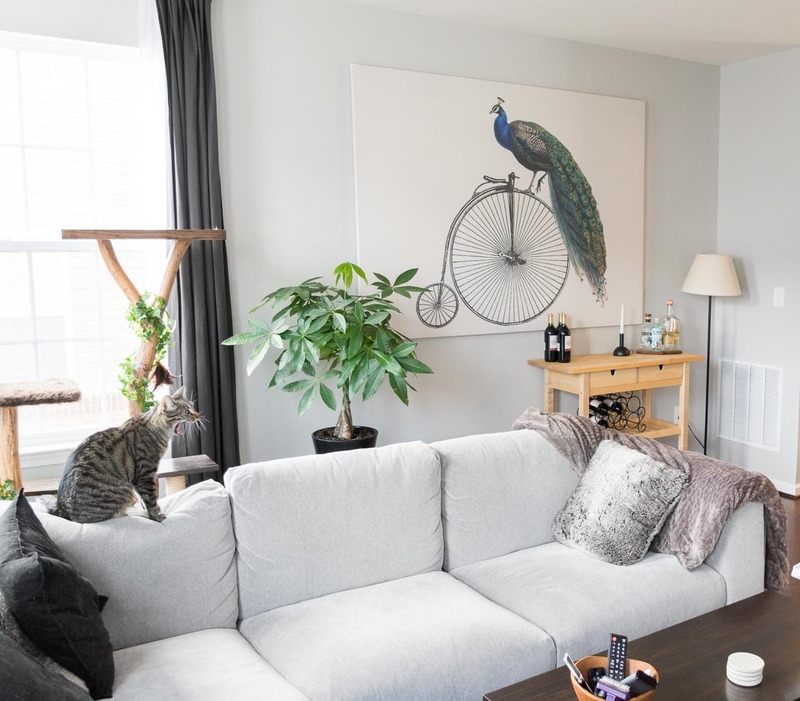 I have a big blank wall in our bedroom after I moved some furniture around, and it needs giant art. Thanks! It was such an awesome solution and so easy! I want to do it again upstairs. Wow, I do love this! I’d love to tackle one of these someday soon. It looks so chic. 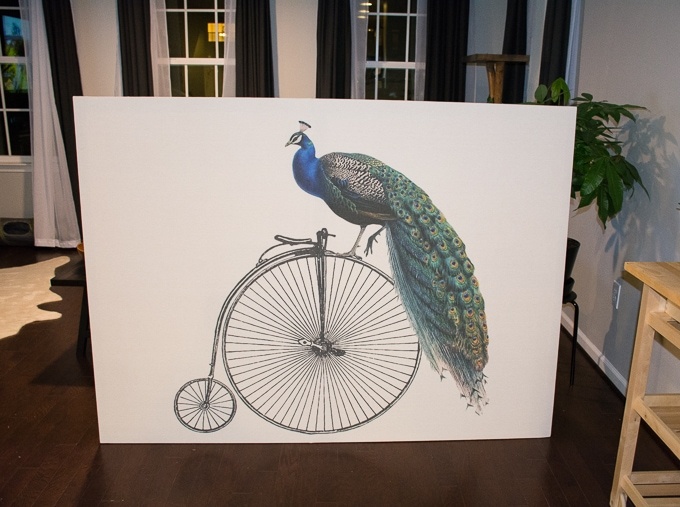 Love the peacock! So fun! I have wanted a piece of art similar to this for years but couldn’t afford it, or even find one this nice…WOW! You both did a fantastic job. It’s one of my all-time favorite projects, I was just telling my husband that this morning!! 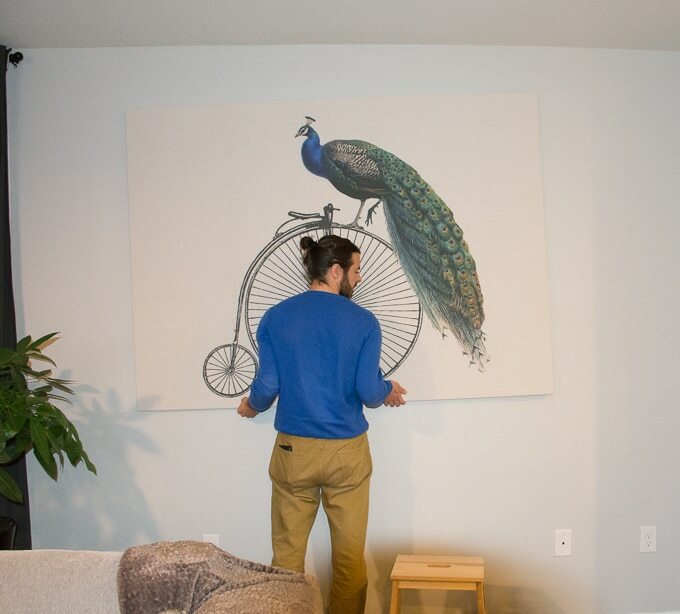 What size tapestry did you order? Thank you so much. It looks fantastic. You are so creative. I believe I’ll try it. You are an inspiration.